You are here: HomenextTransportnextTransport - shipsnextQUEEN MARY in Tilbury. 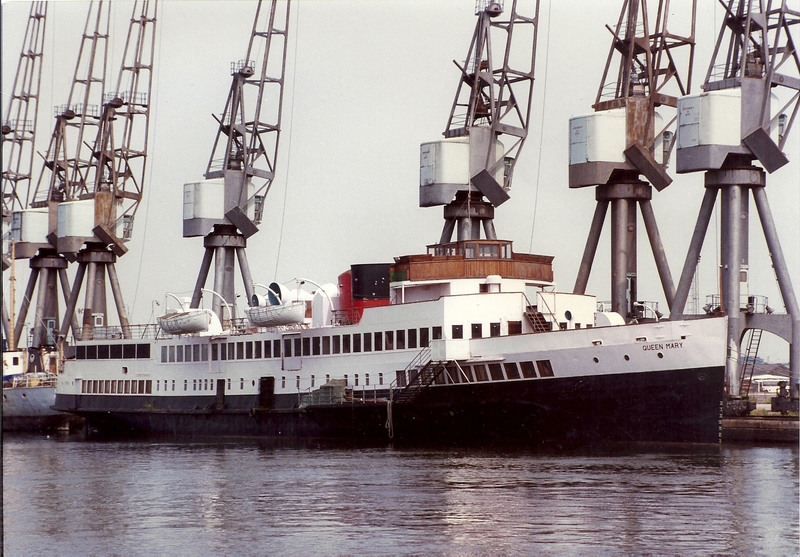 The former Cal-Mac steamer QUEEN MARY in Tilbury with the top of her funnel removed. 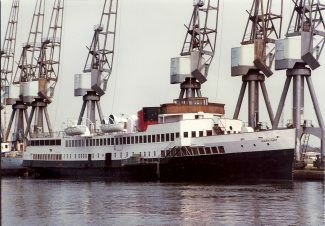 She was towed from the Clyde in Feb. 1981 to be converted to a floating restaurant in London.